Some day I will have to write the complete story on capitalization rates in real estate. Knowing me, that will be a long article. There are many angles to cover, from its use and mis-use, misunderstanding and misapplication to the basics of what it measures and what it means. Most importantly, I’ll aim to provide a practical guide to help you evaluate properties for purchase and balance your assumptions in ROI projections. There are some good articles around the web if you’d like to read more about this valuation metric. Wikipedia provides a pretty good starting point and this article on PropertyMetrics.com explains the risk factors in relying solely on capitalization rates in real estate. For today, we look at an example of cap rate silliness from today’s new listing alerts in the multi-family category on the Ottawa MLS system. This property in the McDonald Gardens section of Lowertown listed yesterday. What an opportunity! Lets check the attributes on this Fourplex in Lowertown […snip…] Above average CAP rate – yes! Essentially maintenance free – yes! […snip…] many updates to this virtually maintenance free investment. With a proven cap rate of 6.5% we know this is an opportunity worth reviewing immediately. Call us today to book your showing and go over the numbers with you! CAP rate, or capitalization rate, is simply the ratio of net operating income to asset (property) value. In a given market, all other things being equal, assets of a similar type usually trade with a fairly consistent capitalization rate. Capitalization rates in real estate indicate the level of risk investors see in the market segment. So, for example, the prevailing cap rate for multi-family properties up to 6 units in Smiths Falls is higher than it is in Lowertown in Ottawa, because the risk of investing in Smiths Falls is higher than it is in Lowertown. An investor can multiply the pro-forma or declared net operating income as advertised by the seller by the prevailing cap rate for the market segment to derive an approximate market value for the property. This helps an investor decide how much he should pay for the property – a target purchase price. It’s a quick rule of thumb to gauge market value. The majority of Realtors mistake cap rate for rate of return. When marketing a property, as in the above example, they calculate the capitalization rate given by their asking price and stated net operating income, and imply that the result is the buyer’s expected rate of return. Of course there is a germ of truth in this use of the term: the cap rate does indicate the rate of return for an all-cash purchase with steady income and expenses as indicated in the pro-forma financials. The problem is that the income and expenses as stated are extremely unlikely to be constant, almost no one pays cash for an investment property, and the property has not sold yet, so we don’t know what value the market places on it. We just know what the seller is asking for it. 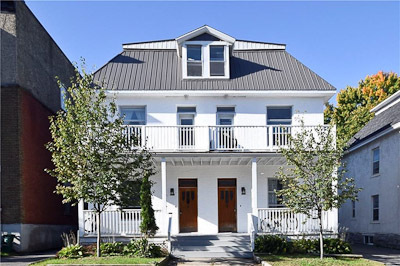 I think what the Realtor means to say in this case is that the property is offered at a price that they feel is below market value based on the prevailing cap rate for the neighbourhood and this property type. That mistake is made on listings all the time. But this one goes further, into fairly comical territory. 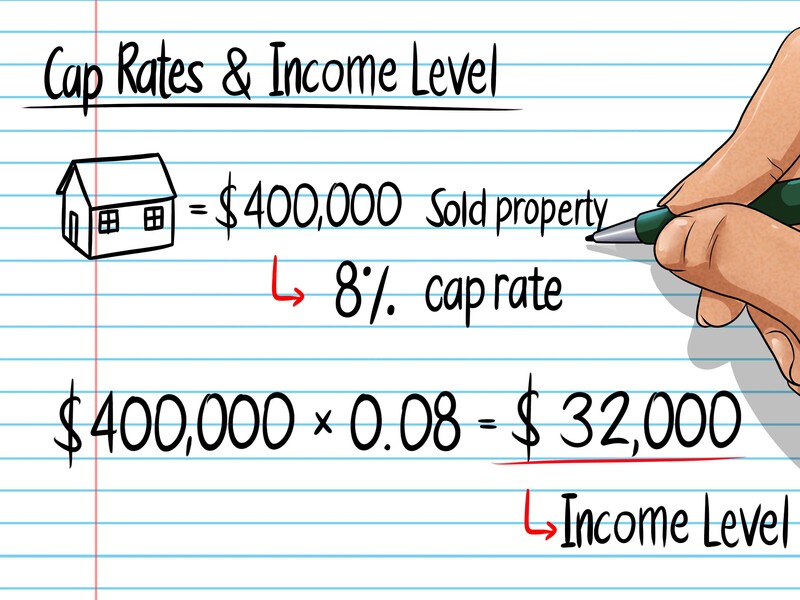 What is a proven cap rate for a specific property? This phrase prompted me to write this post. My first reaction when I read it was to laugh. But then I thought… maybe the property has changed hands 5 times in the past 8 years, and in each case, sold at a price relative to net operating income yielding a consistent cap rate. That would indeed sound like a proven cap rate. But of course, this is not the case. The property last changed hands in 2009. Once the property sells, which could be fairly quickly because the one thing they have right is that it looks like a solid property, we will know based on the assumption that the stated net operating income is accurate what the capitalization rate was at the time of selling. Keep in mind, if they have to fix the roof at a cost of $15,000 next year, or if two of the tenants vacate and one unit takes 2 months to rent and both rent for very different prices than the current rental rates… that cap rate will suddenly become unproven. If you might be interested in buying this property, or at least examining it more closely, I recommend you consult with a Realtor to help you assess it. One who understands the numbers, to help you go over them carefully.